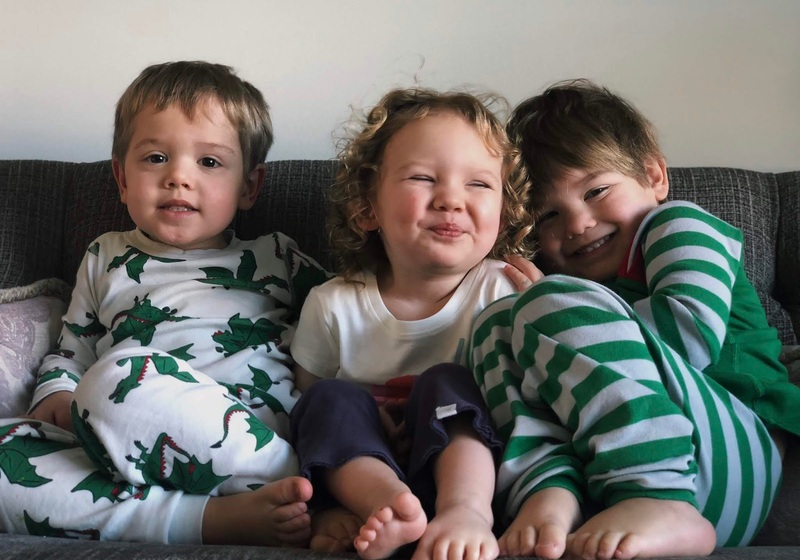 "It's hard to wait around for something you know may never happen; but it's harder to give up when you know it's everything you want"
As I posted back in 2017, we made the decision to donate our remaining 3 embryos that were still frozen at our clinic in Colorado. We went through so much, and trust me, that's a pretty mild statement, and couldn't imagine destroying them or "donating them to research". We wanted them to have a chance at life. Problem is, we were and are done having children. 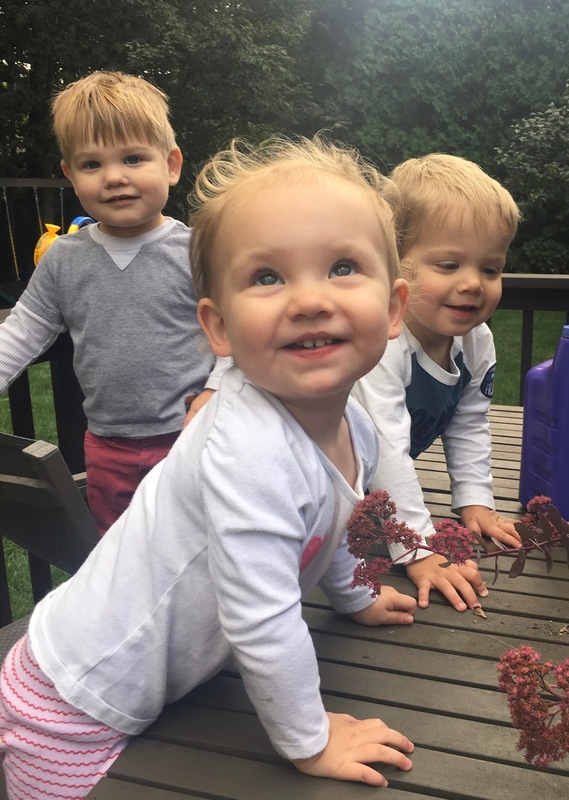 Having three amazing kids all 3 years old, is amazing, hard, filled with joy and also challenges. 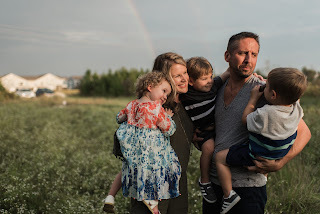 We are at peace and completely in love with our family of five. Our family is what it is because of some very special people. Our egg donor. Our amazing, surrogate, Kelly. Doctors and nurses, literally across the country. So how could we not pay some of that forward? It honestly, wasn't a difficult decision for us. In the fall of 2017, we officially donated our embryos to our clinic in hopes that someone else that was dreaming as hard as we did for their own miracle, could potentially have that opportunity, because of us. This is completely anonymous. Apparently, we will never know anything about the family or children that come from these embryos. Even though they will be 100% biological siblings to our boys and biological children to my husband, we knew that in our heart, this was still absolutely what we wanted and needed to do. Luckily, our clinic does allow us to find out if the embryos are adopted, and if they are successful. Last week, I got that answer. While one remains on ice and is awaiting adoption. Two were transferred to a patient, and they both stuck. And even more amazing...one split. This person or couple, now has triplets. Just like our miracles turned into three. So has theirs. People have asked how we feel about this. We feel joy. Pure joy. And maybe a little bit of compassion for these parents that are about to have their world rocked by three at once! Because let me tell you, we know, it's going to be amazing chaos. And exhausting chaos. In the best possible way. We have our children. 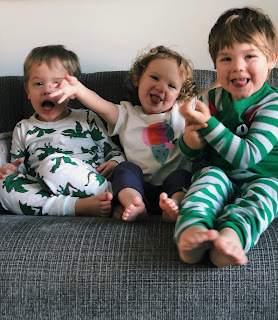 We are blessed by three of the sweetest, most hilarious little humans we could ever wish for. They are ours. And together, we are perfect, just the way we are. I hope those triplets have a full and happy life. I'm guessing their parents will, that's for sure, albeit they are going to be really tired for the foreseeable future. Oh, and we did snicker at the thought "what if we'd have transferred the one that split"? Geez. Never mind, on second thought lets not think of that. Instead, lets focus on what's right here, right now, in my heart and in my arms. And all mine. I literally cannot believe it's been over a year since my last post. Life has been, well, a blur. A busy, chaotic, blur. And it's been amazing. I'm forever grateful for my three miracles. I do have an update that relates back to all my infertility though, and for the sake of keeping all my information up to date and accurate to help anyone else out there searching, I'm going to lay it all out here. My little miracle pregnancy that happened while my gestational carrier was half way through her pregnancy with my egg donor babies, happened in April, 2015. I gave birth at the very end of 2015. Since then, I fed my daughter until her 3rd birthday. I had no periods until I stopped breastfeeding her. I thought that was because of breastfeeding. And I think mostly, it was. At my annual this year, I had a few complaints. Bloating, feeling down, hot flashes, difficulty sleeping, etc. I receive an ultrasound yearly to do a little looksie at my uterus and ovaries due to my increased risk of ovarian cancer. What they found was my lining looked very thick. Odd, since that was the opposite of my infertility days. They scheduled a d&c to take a look and to remove any thick tissue that could become cancerous. What they found, was that it was the opposite of thick. It was actually scar tissue from top to bottom. So basically, my uterus looks as bad if not worse than it always had. My doctor told me if he had seen my uterus before my pregnancy, he too, would have suggested the use of a gestational carrier. He also ran a few tests. We tested my FSH. Just to go back a few years it was always between 10 and 18 between 2013-2015. It's now 51. Which confirms that I am in perimenopause. I mean, I'm 41. So it's on the young side, but with my diminished ovarian reserve. This is what we expected, no? What this did tell me. Was to be grateful. Truly, from deep in my soul, grateful for my miracles. All of them. But especially of Liddy. Because she did come to me from my crappy eggs. And my equally crappy uterus managed to carry her practically full-term (only 3 days shy). In he end, my body did what I dreamed it would. And I'm at peace that this old body of mine, at least from the reproductive point of view, is hanging up it's hat for good. Maybe not the right title. Then again, maybe it is. I blogged awhile back about our hope to donate our embryos. While I would have loved to potentially have an open relationship with whoever adopted them, the time and energy to move them, and find someone, was just more than I can do with how much we have going on in our life. At the end of the day, I'm thrilled that they won't be destroyed, but are continued to be looked after by the best lab in the country and are currently on a list for hopeful would-be-parents that are at the end of their infertility journey and this is their only remaining option. While I definitely had a good cry over this, it was right for us. They have a chance of life. And that gives me peace. I know donating embryos that we worked so hard for is very difficult for some people to imagine. But remember, our family is here because of not one, but two incredibly amazing people that donated themselves or pieces of themselves to make us parents. Third party reproduction is how we came to be a family of 5. So if I can give my remaining three embryos a chance at life, and help other couples the same way I was helped, how is that not a win-win for me in a really amazing way? Dr. G at CCRM also said that while the program is anonymous, he is also willing to inform me when they are adopted and let me know if there is a successful pregnancy. Again, this makes me happy. Just knowing. I also, obviously don't blog like I used to. I don't text and email with friends the way I used to either. Life is chaos. Crazy, amazing, busy, and exhausting, but wonderful chaos. So something has to give. I have to be present in the moment with my three babes, because unlike the folks that spread their children out by, you know, a year or so, I have to do it right the first time, have no regrets. No do overs. So I miss talking to all of you. I miss the updates, I miss the comments, and just the relationships I shared from this journey. I think of all of you so often, and I'm thankful that I still get to follow along with a lot of you on social media. I will not close this blog. I've had too many people find it helpful. A lot of my issues were rare and didn't have a lot of information out there. It makes me happy to be a resource to others. And I still welcome the emails that occasionally come to me from women that are in search of answers in DOR or Asherman's Syndrome, Donor Eggs and Surrogacy. I never thought anyone would make my heart flutter the way my husband does. simply light up my world. The past two years have been a blur. I still can't believe that they are mine. That for the rest of my life, I get to see who and what they will become. I'm honored to be there mom. And I'm thankful for the women that gave them to me. Goose, our egg donor and of course, Kelly, who carried them when I couldn't. There isn't a day that goes by that I don't think of these women and say a simple prayer of gratitude for the amazing gift they have given me. Britton is our shy, sweet, meticulous little problem solver. He's 28 pounds of love. Casey is the 29 pound instigator of all things trouble. And has the laugh and smile to go with it, to make it absolutely impossible to be stern. These boys are my world. And on Saturday, they turn two. Happy Birthday Britton & Casey! 10 Weeks: Still nauseous. Bring nachos. This blog is my outlet to share the hurt and pain of my infertility. DOR, Endometriosis, and finally Asherman's Syndrome have plagued our past 4 years with loss and heartache. We ultimately turned to Donor Eggs at CCRM to create our miracles. With the help and love of one of our surrogate, our twin boys were born on July 16, 2015 and just 5 months later, our miracle baby girl and natural surprise was born on December 11, 2015. Life is most definitely complete!